Thinking about spending a night in with the one you love this Valentine’s Day; instead of fighting the crowds for a reservation at your favorite restaurant? It can be fun to spend some alone; time just the two of you. What isn’t fun is an accidental stain or spill, but have no fear! 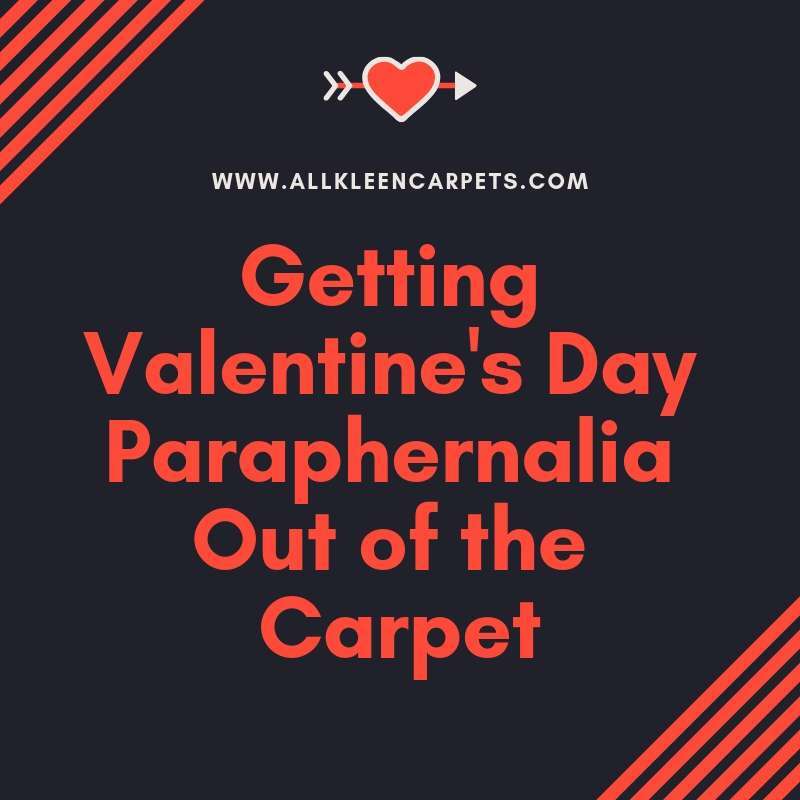 We have some great tips for your Valentine’s Day cleaning mishaps. Read On. It’s nice to enjoy the warm and soft glow of candlelight, especially on Valentine’s Day, but dripped candle wax can put you in a panic. Let the wax cool down before trying to handle it, you don’t want a burn. Once the wax is cool, use a blunt scraping object like the flat side of a butter knife, a credit card, a bread clip, etc. and gently scrape the wax from the surface. For any wax left, soften it by using a blow dryer on a low setting and wipe with a clean white cloth. Finally wash away any remaining residue with a few drops of hand dishwashing soap and warm water. Blot the solution onto the stain and then rinse with clean water. A sweet decorative touch is sprinkled rose petals, but colored petals can leave behind their mark on the carpet and other fabrics. To clean up the carpet, mix one tablespoon of vinegar and a few drops of dish soap with two cups of cold water. Blot the solution on the stain(s) until they have lifted from the carpet. Follow up with plain water to rinse and then a new clean dry cloth to remove as much remaining moisture from the carpet as possible. Melted chocolate on the carpet is unsightly, but not impossible to remove. Start by scraping as much of the chocolate from the carpet as possible with a blunt object. Next, you will want to mix up some hand dishwashing soap with some cold water. Cold water is key here to help remove the chocolate. Give the cleaning solution a few minutes to work on the stain after gently blotting it on. Follow with cold water blotted on the area until the stain comes clean. Red wine is a Valentine’s Day favorite among many. It is so nice to enjoy a glass of wine with dinner, or just as a night cap. Spilled wine is one of the most common of Valentine’s accidental stains. Start by soaking up as much of the wine as possible with a dry plain white cloth. You can use a cleaning solution called wine away or mix up a homemade cleaning solution with one tablespoon each of white distilled vinegar and liquid hand dish soap and two cups of warm water. Use a clean white cloth or paper towel to gently blot on the stain. When the red has lifted from the carpet then follow by rinsing with plain water and finish with soaking up as much moisture as possible. For more cleaning tips and tricks please feel free to browse our website. For the best carpet cleaning in Northgate and surrounding areas of North King and Snohomish County make an appointment with All Kleen.